Cyclodextrins and cucurbituril are macrocyclic host molecules with rigid cavities. They are able to form complexes with a large number of organic molecules in solution. 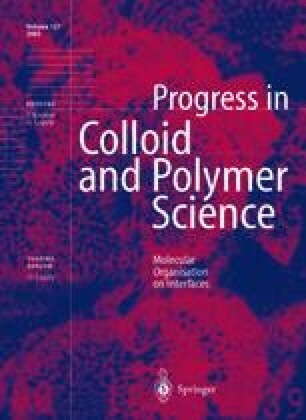 The fixation of cyclodextrins on polymer surfaces offers new applications for the use of textiles if the ability to form complexes is maintained. The cyclodextrins can act as depots for cosmetics, pharmaceutics, fragrances and perfumes. The complexed substances are only released in contact with the human skin owing to the presence of humidity. The complexes of cyclodextrins and cucurbituril can also be used as starting material for the synthesis of rotaxanes. Comparable synthetic strategies applied on polymer foils result in the formation of surface rotaxanes.